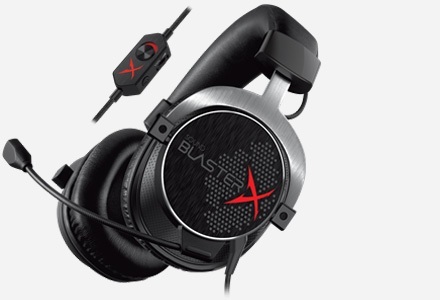 Meet the Sound Blaster EVO Wireless, a headset that's amazing for audio on the go. It comes with NFC for one-touch Bluetooth® pairing and a dual microphone array for clear calls. Beyond that, connect it to your PC or Mac to unlock a full suite of audio enhancement technology! NFC makes pairing your smart device with the EVO Wireless amazingly easy. Beyond that, the noise cancelling dual microphone array guarantees crystal clear communication in any environment. 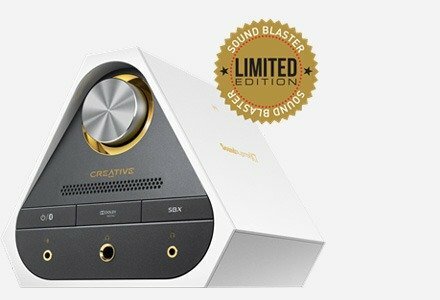 And if you're at home, plug it into your PC and Mac and boot up the free Sound Blaster EVO Control Panel software to enjoy the full suite of advanced audio enhancement technology. 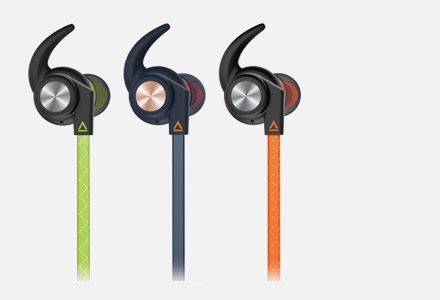 The headset's ear cups cover your ears entirely, passively cutting out external noise. So, whether you're on your skateboard or on the subway, what you hear is only the audio that matters most to you. Sound Blaster EVO Wireless's FullSpectrum 40mm audio drivers are capable of reproducing the full audible range of the audio spectrum, so you won't miss a beat. With the headset supporting aptX® and AAC technologies, you're assured that the audio content transmitted over Bluetooth® is crystal clear. Enjoy improved audio clarity for your voice calls through your mobile phone or VoIP service as Sound Blaster EVO Wireless supports wideband Bluetooth technology, which enables more details of the voice data to be transmitted. * HD Voice functionality is dependent on the mobile device and service operator. Voice Commands, Now More Accurate! Remember the occasions when you tried in vain to instruct some voice-activated application to perform a task? With high-quality dual microphone array, your commands can be transmitted accurately all the time. Use Sound Blaster EVO Wireless as a VoIP headset while connected to your PC or Mac® via USB. Simply tap your Near Field Communications (NFC)-enabled device on the headset for easy, one-touch Bluetooth pairing. 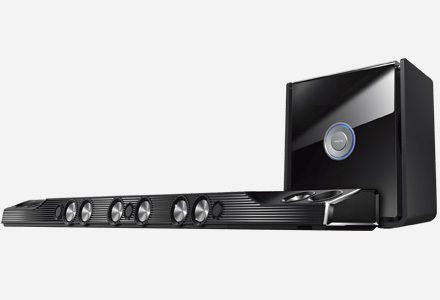 Sound Blaster EVO Wireless supports up to two Bluetooth connections simultaneously, which is great if you're watching a movie on your tablet but wish to instantly switch to answer a call from another paired smart device. Besides Bluetooth pairing via NFC, you can also connect the headset to your PC or entertainment devices using the USB 2.0 connection, or the analog 3.5mm jack. Use the included analog cable for direct connection to your portable media player, or swap it with your own cable of a different length. To use this product with notebooks or PCs with separate audio and microphone connectors, you may use the Sound Blaster Audio/Mic Splitter Adapter (available separately). Sound Blaster EVO Control Panel gives you advanced audio processing via your PC or Mac. * You can adjust audio to your personalised liking and save those settings on the Sound Blaster EVO Wireless, ready to be enjoyed when you are on the go! 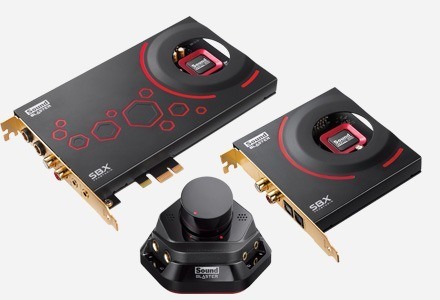 *Connect your EVO headset via USB to your PC or Mac and install Sound Blaster EVO Control Panel to enjoy virtual surround sound. Enjoy your music wherever you go as the built-in rechargeable battery has enough power for up to eight hours of continuous wireless audio playback. Low on power? Conveniently charge the headset via USB and continue to enjoy high-quality audio while doing so. The headset can be folded to about 70% of its original size, and can be kept in the handy carrying pouch. Welcome the arrival of the latest generation of console gaming! Get yourself ready to experience some unparalleled realistic gaming action by gearing up with the Sound Blaster EVO Wireless, compatible with the new Playstation®4 gaming console via USB. Item received in excellent condition. Simply, clear cut quick instructions make the setup of headphone easily. Powerful bass and clear voice resulted in a wonderful listening experience !!! Marvellous! A wedding anniversary gift for my wife. Powerful sound and crisp listening experience. The Sound Blaster Evo Wireless is a great marriage of quality and functionality. 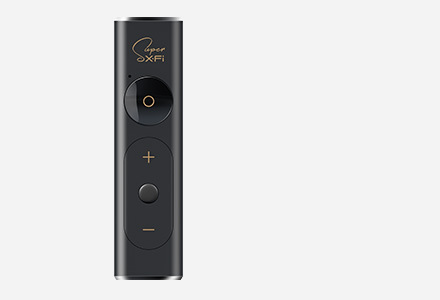 Sound output quality is there as it should be on a Creative product, along with the addition of a versatile headphone that does not just stop at being wireless: it's Bluetooth AND NFC to be exact! Personal favorite is swivel muffs which would be beneficial in helping product itself withstand wear and tear. And multi function with ease. I've tried to do what the guy in the video ad did and was able to do it with ease. By far and wide the best headphones I've had. Smart looking headphone with its bright crimson red color. Easy to use and fits fairly comfortably over the ears. 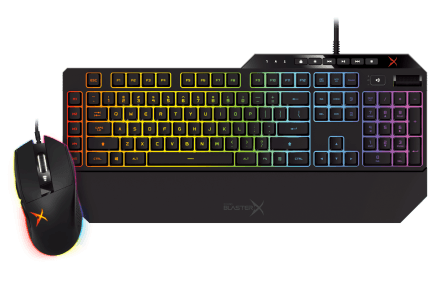 The sound quality is reasonably good based on its price range. With its wireless feature, it is a reasonably good buy.